The old adage goes that keeping all your eggs in one basket is a bad idea. But when it comes to marketing analytics, it seems to be the strategy du jour. It’s too soon to see automated marketing strategies take center stage—look for those in 2015. This year, centralized data collection, leading to more efficient reporting and better-than-ever analysis capabilities, is likely to be a definitive trend. “It’s so difficult when all the different systems are using different terminology or trying to integrate fields that mean different things. You need a central platform for all of the information,” says Chris Brasher, director of marketing for technology provider Property Solutions. “That means all call tracking or dynamic number replacing (DNR/DNI), plus webforms, plus phone calls, are all being entered into a single source,” adds Brasher. 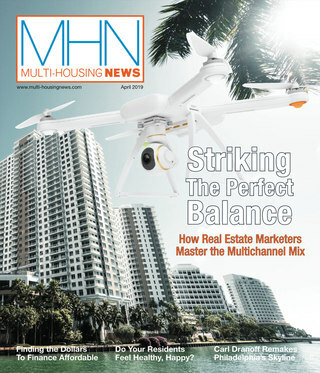 As multifamily firms continue to adjust marketing strategies to the all-digital, hyper-mobile environment, accounting for the demise of print and the habits of the Millennials, analytics are regarded as coveted progress points. Whether you are confident in your strategy or anxious about a new direction, they can help guide your efforts. So, for many firms, finding exactly the right recipe for powerful analysis metrics is an ongoing journey, but one on which they’re making progress. “Over the past three years we have greatly enhanced the tracking on our digital marketing efforts. Many companies measure success by variables that have little or no value,” notes Celeste Rechner, marketing manager for Preferred Living of Columbus, Ohio. Her team found that reports on how many website visitors the company’s sites received—a seemingly obvious metric— wasn’t ultimately helpful. “We measure the total number of phone calls and form completions, as well as the number of visits by person per month. In addition we also measure many other website variables to help us understand where our visitors are finding us, and how they are interacting with us,” Rechner says. Tracking spending on any paid advertising, and then following the money to see how many leases result, is an essential metric to determine ROI. 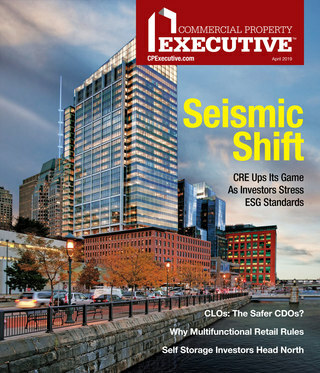 “Many measure ROI against total leases, balancing the costs to obtain a lease from a lead-generating source against just applying that budget directly against on-site rental concessions or net-effective rents,” notes Kevin Thompson, senior vice president of marketing for Greensboro, N.C.-based Bell Partners. And while most companies aren’t able to share what their target ROI might be, they’ll have better ways to track marketing spend and results with clear benchmarks in place, notes Brasher. “As we work on creating case studies, the No. 1 hardest thing we find, is no one cared to look at what the numbers were before they implemented something new. What you were doing before is really important,” he says. That’s an approach that has worked well for Thompson at Bell Partners. “As we continually watch our numbers, we are able to identify certain cost-per benchmarks, by portfolio or region, and can see where an ILS, for example, is significantly higher than our benchmarked cost-per-lease and/or lower than our anticipated leads generated. We can then adjust the subscription platform or terminate that lead source,” Thompson says. Janet Hazen of San Francisco’s Prometheus Real Estate Group described an instance when her company altered its strategy thanks to benchmark data. “For us a big focus was being placed on ILS investment as well as Facebook ads, while little investment was placed on SEO and SEM—with the data provided we were able to switch our focus to what was driving the most leases at the most cost effective rates,” Hazen says. Availability of comprehensive analytics from multiple sources will continue to enhance the power of decision-making in 2014 and beyond. And as consumers gravitate rapidly toward all-mobile platforms, analytics insight will be keeping pace. Technology providers are pushing all-in-one dashboards with metrics for every potential lead source or campaign. Property Solutions, Apartment Guide, and Yardi all have improved, powerful marketing suite products targeting the multifamily sector, with robust analytics components. But some experts, including AIM executive producer and digital media thought leader Steve Lefkovits, would caution against depending on a single source for all things analytics. “If you read the trade press on marketing analytics, sure! People say they want a one-stop shop and to look at one dashboard and figure out everything all at the same time. But I think we’re still at a point where determining what the types of analyses are to do is more important than getting reports,” Lefkovits says. In other words, we may not be ready to put eggs in a basket just yet—let’s keep figuring out if we’re counting the right chickens, first.